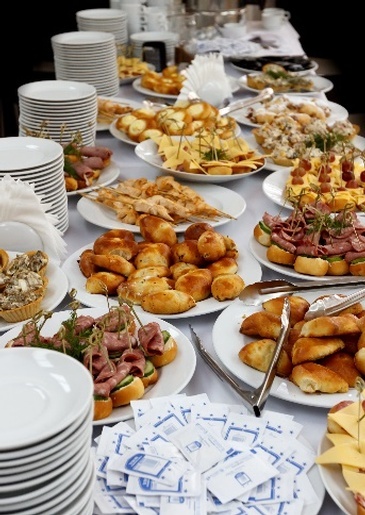 When you need to plan a dynamic and distinctive catered event that will leave a lasting impression on your clients, customers or employees, look to Sky Food Catering. For well over 25 years, we have built a solid reputation as the go-to resource for countless businesses in Minneapolis, St. Paul and surrounding area. 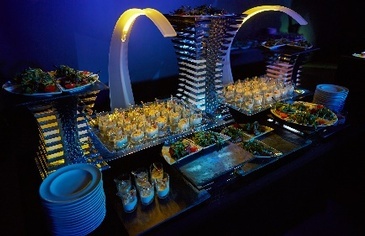 Sky Food Catering executes corporate gatherings with precision, style and ease. Our team of expert designers offers customized menus and extensive planning services for busy corporate clients. 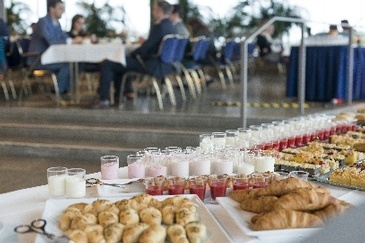 Every year we are entrusted with the catering of more than a thousand events, including conferences, fundraising galas, corporate gatherings and conventions. 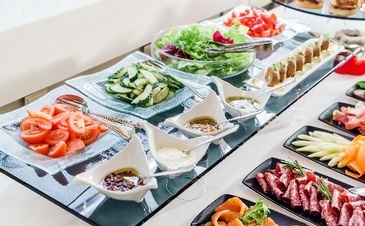 When it comes to business events our performance speaks for itself, and Sky Food Catering prides itself on our strong repeat business from those who trust us with every detail of their event. We look forward to adding you to our esteemed roster of business clients. At Sky Food Catering we understand that we, as a company, are only as good as the people who bring our exceptional catering service to life. We pride ourselves on hiring top–tier employees who understand the true meaning of hospitality and always put the guests’ needs first. Our team of Captains has a combined experience of more than 80 years of creating memories for our clients. The performance of our staff makes Sky Food Catering shine at each event, and it plays a huge role in our ever-growing base of repeat clients. We are proud to craft menus to meet virtually any preference or diet – including Kosher, Gluten-Free, Vegan, Vegetarian and Ethnic options, upon request. The options are endless with linens. Our tried-and-true vendor partners allow us to provide the highest quality linens in a multitude of colors, textures and patterns. During your consultation we will be more than happy to explore the perfect color palette and combinations to make your event décor stand out. 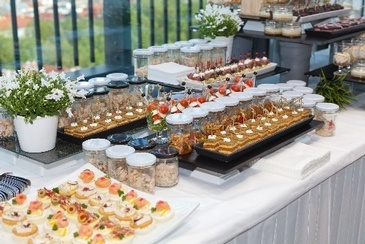 Sky Food Catering can provide an extensive array of furnishings for use at your event – from tents, tables and chairs to china, flatware and glassware. Regardless of what event you are planning we can provide the necessary essentials to match the feel of any special event. Your Event Designer will be happy to make recommendations about what will work best for your party. 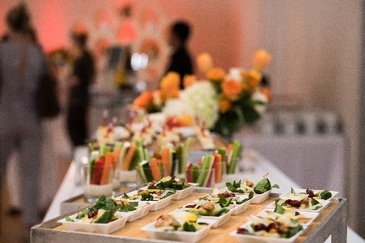 From florists to photographers, Sky Food Catering has a long-established list of resources throughout the catering and event design industries. We partner with only the most dependable vendors in the Minneapolis/St. Paul area to ensure that all our clients’ needs are met.